Put the "me" back in your marriage today! 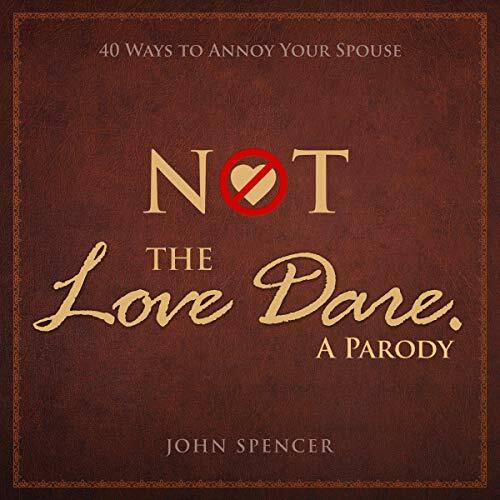 This parody of the number one New York Times best seller contains 40 satirical dares that will not only spice up your marriage, but burn it to the ground. Soon, you’ll be hitting on each other again with any blunt instruments near to hand. Half tongue-in-cheek, half right between the eyes. By following the advice contained here, you’ll soon reduce your marriage to a parody of its former self. John was born at a very young age with his umbilical cord wrapped around his neck. At first, it appeared that no lasting damage had been done, but as he grew, it became clear that his sense of humor had been damaged irreparably. John lives with his family near Oxford, England, where daily he wonders how his wife still finds the same jokes funny after more than 20 years of marriage.